It's been a little while since I did a look for the site, I've been kind of in a funk as of late with stress and such but finally felt like actually throwing some makeup on last week when I went to see Wicked. The two shadows from Aromaleigh may have changed names (if they brought they back at relaunch of the new store/company, but I'm sure they have similar if not). woww.. love the blue color.. looks so fresh.. This is amazingly beautiful!! Wow. Could you describe the Aromaleigh shades? 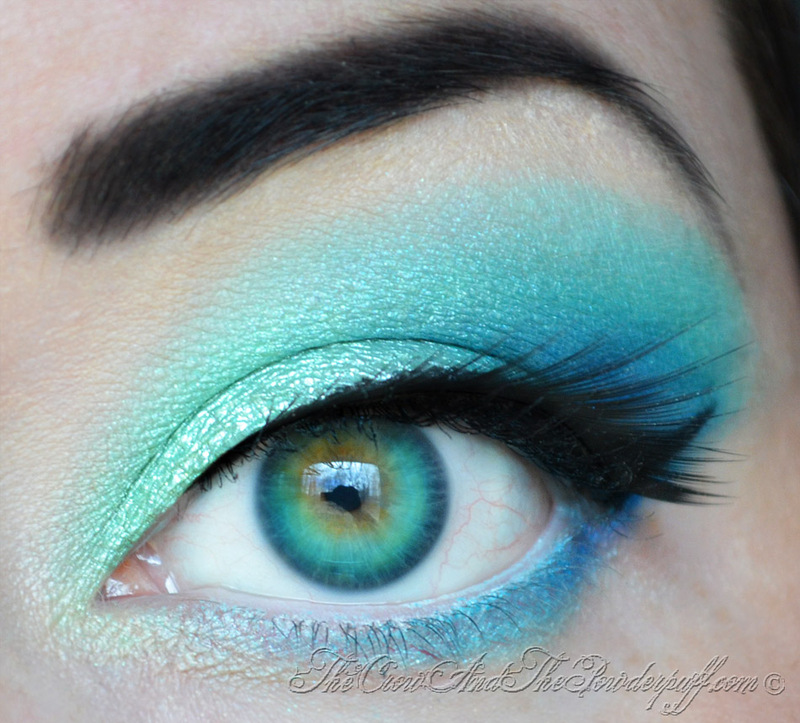 I'm guessing they are light blue or aqua, but it would be easier to try this look if there were descriptions of the shadows. It looks very fresh and light, lovely! Oh wow this is gorgeos!!!! :) I loooove the color combo and you did a beautiful job! Gorgeous shades and I love the fade from aqua to blue. Really pretty!